In a major push for seamless cashless transactions, Govt. 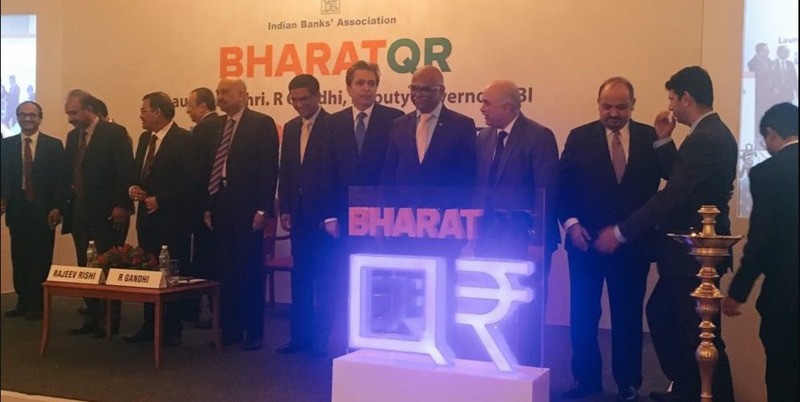 of India has launched Bharat QR Code, which is world’s first interoperable payment platform. National Payments Corporation of India (NPCI), which is the umbrella organisation for all digital and online retail payment systems in India, has developed this platform, which is expected to inspire and encourage more digital payments, without using debit or credit card. QR Codes are black and white two-dimensional machine readable code, which stores information about the merchant’s bank accounts and URLs. With Bharat QR Code interface, merchants need to take a printout of their QR code (or have a soft copy) and show it to the consumer, who can simply scan the code using his or her smartphone, and the payment would be made. Instantly, seamlessly and without any hassles. We had reported last year that Govt. is considering to create a common QR Code based payment mechanism, which has now been officially launched. The Retail industry is excited by its possibilities because QR code-based payments solves two major problems in a single go: a) less time consumed to make the payment, compared to debit/credit card b) no requirement to actually flash your credit/debit cards for making the payment. a) less time consumed to make the payment, compared to debit/credit card and b) no requirement to actually flash your credit/debit cards for making the payment. b) no requirement to actually flash your credit/debit cards for making the payment. 2 2) Who Are Part of Bharat QR Code? 3 3) How can you make payments using Bharat QR Code? 2) Who Are Part of Bharat QR Code? As of now, 15 banks are part of Bharat QR Code platform: SBI, Axis Bank, Bank of Baroda, Bank of India, Citi Union Bank, DCB, Karur Vysya Bank, HDFC Bank, ICICI Bank, IDBI Bank, RBL Bank, Union Bank of India, Vijaya Bank and Yes Bank. More banks are soon expected to join the mega-forum. 3) How can you make payments using Bharat QR Code? "7 Facts About Bharat QR Code Which Every Consumer & Merchant Should Be Aware Of! ", 5 out of 5 based on 11 ratings. Paytm To Invest Rs. 600 Crore To Expand Their QR Code Ecosystem With Sellers! WhatsApp Officially Unveils ‘Status’ to Share Encrypted Temporary Photos and Videos! Do you read your article after writing and before publishing? Same sentence is written three times continuously.